Carol Woods is a former Lancashire County Council Level 3 Social Worker and Child Protection Officer [who used to train social workers] and a former Probation Officer, amongst many other things. Perhaps the appalling and chronic targeting she has no choice but to put up with 24/7 is because she reported numerous seriously grave irregularities she discovered, including child abuse, when being employed by Lancashire county council, and when one realises that the very controllers of the targeting and stalking Carol is forced to endure are, very probably, very closely connected to the same departments and personnel who are described in the links above and the “IMPORTANT VIDEOS” shown below, which detail what was discovered when Carol worked as a Child Protection officer in Lancashire, then it should not be hard to understand these hostilities enacted against her. Put it this way: the Welsh scientist, weapons expert and authority on biological warfare, employed by the British Ministry of Defence David Kelly was supposed to have leaked serious information to the detriment of the PTB [powers that be] at the time – look what happened to him. Now, Carol is no weapons expert, but one doesn’t have to be one to upset the proverbial apple cart bigtime. And anyway, we are told there have been assassination attempts upon her life too – quite a few in fact, including ramming her car at speed, on a main road, by perpetrators unknown…well, almost unknown. And why is there an illegal tracking device installed in Ms. Woods car – put there, apparently – by Lancs. police? The Chief Constable of Lancashire has been written to so many times about so many serious matters with no response it’s quite remarkable. Another 2 chief constables have been written to asking can serious crime be reported to their forces also with no response whatsoever, and I have tried on more than one occasion to notify my local police about serious crime at my local central police station to be totally ignored every visit, which is just another public scandal! – many other instances of serious crime and illegal activity exist, and many acts contravening not only the Data Protection Act 1998, but also the contravention of articles pertaining to the European Commission of Human Rights [particularly Article 8]. On 15th Dec 2000 when I was employed as a social worker for Lancashire County Council (LCC) I attended a meeting of staff, clients, their families etc, subject: home closures on a site known as Fylde Comunity School near Blackpool, Lancs. Hilton Dawson, then MP for Lancaster, Fylde and Wyre attended as did the LCC Consultant, Ed Nixon. The staff union involved, UNISON, declined to send a rep. The meeting was well attended but astonishingly I was the only field social worker in attendance. Some in LCC planned to seize 134 acres of land, evict families from their homes on that site telling them they had no tenants’ rights, close a working farm, a full time school, dismiss 46 staff members illegally and close 4 homes for disturbed adolescent boys. I said in that meeting, “You can’t do that” and I was taken to one side and told, “You’re right, keep quiet, or else”. That was later sent to me via senior managers in a letter. Hilton Dawson as my MP ignored my pleas for help. I followed all the proper procedures and policies for complaining within LCC (I had 4 clients on that site who had nowhere else to live if it closed as it was doing, ad hoc and illegally. Then boys were all in care to the Local Authority as were all other boys on site, approx. 100). LCC had no foster carers or field support workers and on 21 April 01 I wrote to the Social Services Committee warning that something would happen if the boys were evicted into the community unmonitored. LCC whistle blowing contact, Clive Giddings, had told me I would be disciplined and sacked for gross misconduct if I continued to complain about the Fylde closure. My protected disclosure was not protected. I finally surrendered my post at the end of Aug 01 after being bullied etc for 8 months by management intent on forcing me out on instruction from HQ Preston. Tony Bradhsaw, Pat Allen and Gillian Armstrong were the worst offenders then acting on instruction from David Fairclough, then Head of Human Resources for LCC. I ha dtaken my complaint to the LGO, York office and was assigned an investigator, Roger Barham. We got on well and sometimes just chatted on the phone. LCC had told him that they would not submit documents if he was to send them to me. R Barham said that the Sec of State would ensure their compliance. I eventually got the documents. I was to analyse the evidence in the documents and compile a report which I did. By then I had discovered that Ed Nixon had lied to all staff, clients and their families in the “Consultation”. He had said in a letter to all, “I am Director of Atlantic Children’s Trust. I am independent and impartial”. E Nixon was a friend of senior manager, Sue Mitchell and Tony Morrissey (both child care) and was unemployed which is why they recruited him. D Fairclough as Head of Human Resources had compiled the letter with Bob Gower, another senior child care manager in HQ for Ed Nixon to send out. They knew what they were doing. Naturally I have all that in writing as I ahve every last document referred to in this. I concnetrated my report on points of law, Local Government Law and human rights etc and noted Case Law. R Barham was encouraging, he rang saying he couldn’t help me write my report but could say whether I was on the right track or not. I told him what I was concentrating on and he said we’d get LCC for maladministration at least. I was pleased with my report. It was 12 pages handwritten then, since typed for clarity, and I submitted it early Sept 01 but heard nothing. At the end on Oct 01 I received a card from R Barham saying that pressure of work prevented him dealing with the case. On Christmas Eve of 2001 I received a letter from R Barham, no report, and it was nothing like he’d ever written to me previously. It was almost 5 years later that I learned he had not written that letter (report, call it what you will), Ian Young of LCC legal dept had written it for him, Barham had simply signed it. In May 2002 I discovered that the March 01 Committee Meeting Minutes for LCC had been altered in that month of May 02. They then included the legal recommendations I had said they should have made re Fylde. They were rewritten to allow senior managers to distance themsleves from the corporate manslaughter of Mrs Bridge. In July 2002 I discovered, after a court ordered release of files to me, some children’s files had been altered by P Allen, T Bradshaw and G Armstrong to try and discredit my work as a social worker (child protection.) The altered files were detrimental to the familes and children as well as me. The LGO investigator, Colin Oxley, chum of R Barham did nothing although I reported the Minutes and the files issues. The children were all minors and had no one to speak for them. In 2002 I had learned of Judicial Reviews and applied to the High Court. Judge Hooper gave me permission for an oral hearing which would have been heard July 2002. He said he couldn’t order the re-opening but he could order a proper investigation into the closures, sackings, evictions etc. I was actively prevented from attending that oral hearing. And that’s when the corruption was further compunded and continues to be so today. Feb 5th 2007. Readers can know what I didn’t know until the end of 2002 and that was , “Who was legal advisor for LCC on those closures leading to corporate manslaughter? Cherie Blair. In 2003 I also had cogent evidence that Pat Allen for LCC worked with a false CV and swore in Family Courts High Division that she had qualifications that did not exist. Perjury to pervert the course of justice for vulnerable families. P Allen had been a cleaner in a children’s home and had sexual relations with senior manager, including D Fairclough hence her rapid rise through to management when she could scarcely write her name and address. The LGO in York ignored all that cogent evidence. But the Ombudsman at the time until Sept 05) was Pauline Thomas. I traced Mrs Thomas in June 06 (she retired in Sept 05) and she agreed to see me. (I was suitably vague in my letters). Mrs Thomas knew nothing about Fylde or the children’s files or the Committee Meeting Minutes. R Barham had conspired to pervert the course of justice with Fishger and Young at least from LCC. Was he paid to do that? He will not deny it. PAYOLA. Usual for LCC. The Director of the time, Pauline Oliver was advised to take early retirement in 2002 which she did to protect her pension. Anne Seex succeeded Mrs Thomas and much is known about Mrs Seex. But I know something else. Our paths crossed on a personal matter in 1998. She did not win. Hilton Dawson resigned as MP for Lancaster and Anne Sacks quietly slipped into his place. She lost in the election. 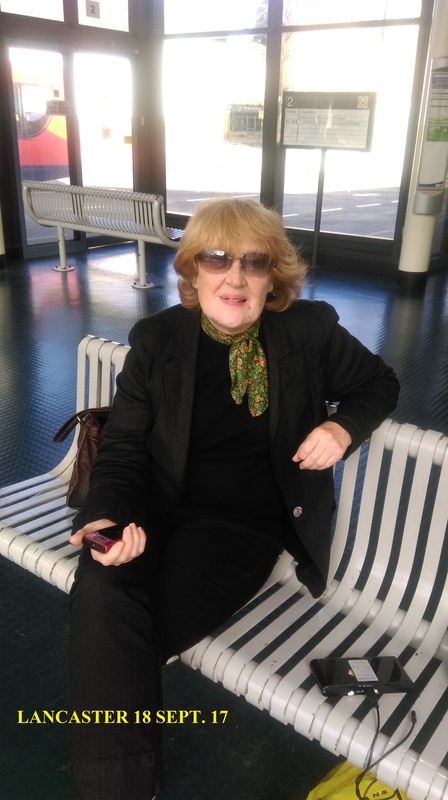 Judy Deering, solicitor for LCC working on the perjury with P Allen was advised to take early retirement in 2003 when it became known that I knew that she was also woprking as a bar manager in a night club in Bolton, (Temple Bar) in breach of her contract for LCC. P Allen is well protected. She would undoubtedly seek revenge if ‘allowed to go’. The land was seized illegally, all 134 acres of it. The Freemasons were involved: greed, money, land grabbing, corrupt police and murder. Traits of those in that silly boys’ club. Every last statement of fact as above can be proven via documentary evidence. It is still safe despite collective attempts to take it from me. All public interest. Carol Woods = “It is a highly complex matter which the police organise where they try to make me someone I am not. They have in fact tried to invent me as the reverse of myself using numerous characters, including “neighbours” who live alongside myself, and others elsewhere – the entire situations going back years. I find things out because I am not stupid. See my original w’blowing blog York LGO Blog re Lancashire CC http://criticalreader2006.blogspot.ae/ you will see why I am hounded by lowlife RECRUITED to do that by the Gestapo. Why will no one sort this massive corruption out? How many cars have been “given” to these criminals alone so as they can harass – and even attempt to kill – Carol when she has been out driving her car? And what else has been given to the huge number of criminals involved in this massive example of organised crime? The posts here, copied from Ms. Wood’s communications, detail numerous serious crimes, and outrageous hostilities happening to Carol Woods which continue to this day – the archive made of scores of posts beginning in Febuary 2016 after certain “supporters” found out Carol had been placed in a closed mental hospital unit for the 5th [at least] time for no reason. On January 31st 2018 Carol was arrested by Lancs. police for being myself – the owner of this site – for allegedly posting articles here – a nonsense charge easily negated by my affadavit / statement as sent to Lancs. police [the statement can be seen in the recent related post put here recently], but nevertheless this unwarranted arrest causing unnecessary hassle and more grief for Carol – the point of the exercise, probably. Carol has been falsely convicted in the past on fake charges. This entry was posted in Uncategorized and tagged carol, woods. Bookmark the permalink. WHAT OF THOSE INVOLVED IN THE CRIMES AGAINST CAROL WOODS?